Perhaps, the most impressive thing about the ONE WAY enterprise is their old school approach to customer satisfaction. Situated in the picturesque setting of Vantaa, Finland, the company crafts each and every product with the precision and meticulousness of an expert outdoorsman. Aside from delivering quality merchandise, Mr. Bennert himself operates his business according to strict moral and ethical standards, meaning his product is always guaranteed and craftsmanship will always trump extra profit. Combine Mr. Bennert’s refreshing approach to business with renowned durability and performance of One Way ski poles and you’ve got the recipe for a thriving enterprise. It was little surprise to those who have experienced One Way ski poles and One Way ski accessories that they’ve been recently awarded a contract to outfit the entire French Nordic skiing team. Already the official supplier of Vasaloppet, the most prestigious ski marathon in the world, One Way Sports has established a secure foothold in the ultra-competitive Scandinavian ski industry. Despite their success, One Way has continued to innovate. Their groundbreaking hiking/walking shoes have earned glowing reviews from seasoned climbers throughout the world, and many One Way Accessory owners have urged the company to expand their line of footwear. Likewise, their titanium, ultra-lightweight roller ski has cornered that fledgling industry thanks to its unique design and purposed incorporation of user feedback. Endorsed by experts like Daniel Tynell and Laurent Hoffmann, the entire One Way catalog will equip any alpine adventure regardless of the conditions or terrain. Less than ten years ago One Way sports was an idea rolling inside Andreas Bennert’s head. 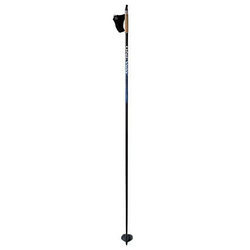 Not ten years later, One Way ski poles have become synonymous with quality and excellence. Endowed with the experience that can only come from the far reaches of Vantaa, Finland, One Way Accessories are unique in a market saturated with hastily made knock-offs. 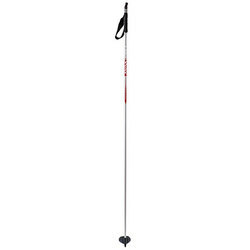 They've even partnered with Nordic ski giant, Rossignol, to produce the Rossignol Oneway Diamond 600 Exit Eva Men's Ski Pole. If you’re craving authentic products at reasonable prices, look no further than One Way Sports.